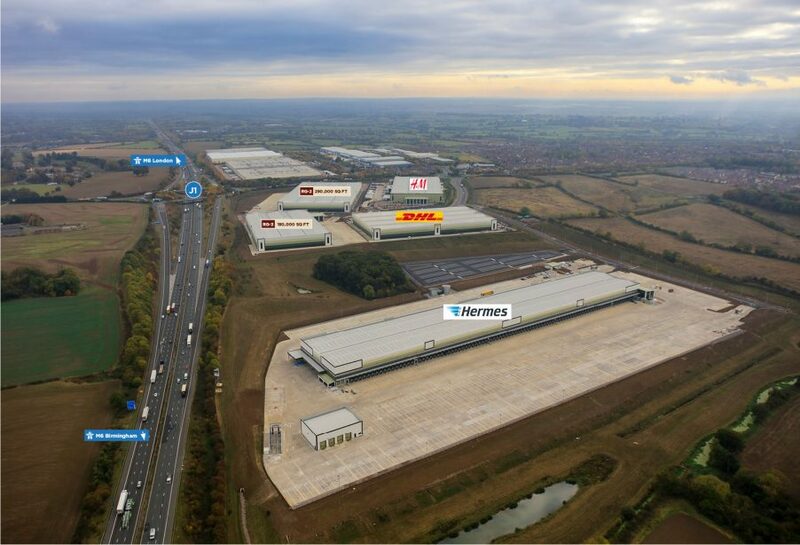 Rugby Gateway is a 120 acre prime logistics site offering facilities within use classes B1c Light Industrial, B2 General Industrial and B8 Warehouse & Distribution suitable for a variety of occupiers. Buildings are offered on both a Leasehold and Freehold basis. Rugby Gateway is located at the heart of the Logistics ‘Golden Triangle’ and offers bespoke design & build facilities to suit individual occupier requirements. The site is located immediately adjacent to Junction 1 of the M6 motorway at the heart of the distribution ‘golden triangle’. 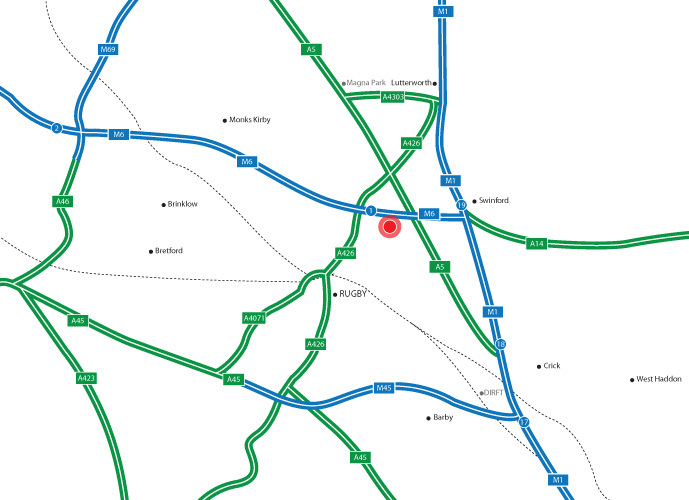 The location provides direct access to the national motorway network with the M1 motorway less than 3 miles away. Rugby town centre is located less than 2 miles away offering significant employment potential for new and expanding businesses. The site was acquired in September 2013 and Infrastructure works commenced in October 2013 completing in March 2014. The first unit of 240,000 sq ft was completed and let to H&M in December 2014, following by a unit of 240,000 sq ft let to DHL in October 2015. In October 2016 we completed a bespoke parcels facility of 269,000 sq ft for Hermes Parcelnet. The final two units of 180,000sq.ft and 290,000 sq ft were speculatively developed and completed in September 2016. The larger unit is now under offer which leaves the last remaining unit of 180,000 sq ft available.